If your bathroom is in desperate need of a revamp, the best way to achieve your ideal new look is to start from scratch! Undertaking in a bathroom strip can be hard work, especially because it involves removing all of your current fixtures. But, by calling the experts at Totally Stripped Gold Coast, your bathroom will be ready for its next renovation in time- without the hassle that comes with a DIY job. When preparing your home or commercial bathroom for a remodel, there are a lot of things that need to be taken into consideration. For instance, you need to find fixtures that will match the design of your bathroom space, a colour scheme, a budget to go by and a means to clear your old bathroom to make way for the new. This may not seem like a big deal when you first think about it, but there’s a lot more than meets the eye. This is because it’s not only the tiles that need to be removed, but also baths, spas, shower recesses, toilets, vanities and even ceiling cornices. Even still, one of the most commonly forgotten steps for DIYers when first undertaking in a bathroom strip is to isolate your amenities, including electricity and water- so you avoid any nasty mistakes. 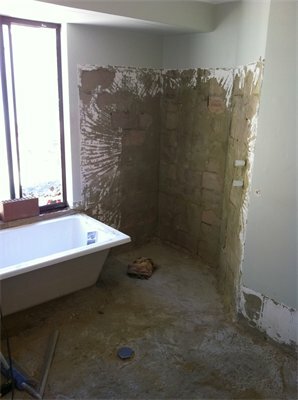 All in all, bathroom stripping is a tedious task and must be well thought-out before being undertaken. Wouldn’t you prefer to avoid the hassle? Well, fortunately for you, it’s possible to have your bathroom fully stripped out in a flash with the help of Gold Coast’s most trusted experts: Totally Stripped. The skilled team of tradesman at Totally Stripped have decades of experience in all types of floor and wall stripping, making them the ideal choice to remove your bathroom tiles and fixtures. The Totally Stripped tradesmen pride themselves on their commitment to client health and satisfaction. In fact, to prove their dedication to you, the team assigned to you will completely clean the stripped area after each and every service. Totally Stripped also maintains sensitivity to your day-to-day activities, by guaranteeing that your project will be completed in only one day. So, what are you waiting for? If you are remodelling your bathroom, the obvious choice is the Totally Stripped team. Give them a call now for a free quote.